Supports for migrating MBOX files created using email applications such as, Spicebird, Pocomail, Thunderbird, Entourage, Mulberry, SeaMonkey, Netscape, ClawsMail, AppleMail, Eudora, Evolution, Sylpheed, OperaMail, Mozilla Mail, Cone, Mutt, Gnu Mail clients into PST. Sysessential for MBOX to PST Converter is expert in making email migration of emails from MBOX supporting email applications into Outlook PST files. The tool is absolutely comfortable and safe to work with. Even if emails are bulk in number then also tool uses advanced algorithms and move emails from MBOX files into PST file format. The resulted emails get directly migrated into Outlook PST files. MBOX file format is supportive of all email applications such as Spicebird, Pocomail, Thunderbird, Entourage, Mulberry, SeaMonkey, Netscape, ClawsMail, AppleMail, Eudora, Evolution, Sylpheed, OperaMail, Mozilla Mail, Cone, Mutt, Gnu Mail and so on. Thus no more trouble while migrating email data from MBOX into PST. While executing email migration process, tool scans the chosen MBOX files prior migrating. You can avail the preview of MBOX files and then export emails safely into PST file format. This ensure users about the emails which are about to export into Outlook PST file format. How would I be able to convert MBOX file into PST file format? How free demo edition worth to watch? What can I convert using the demo version of the software? 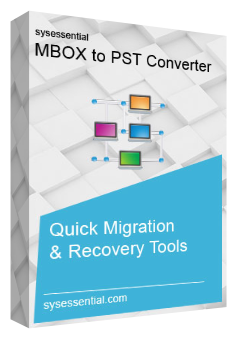 The free of cost trial run will migrate first 10 emails from every item of MBOX into PST file format. You need to click Download Now and this will lead to start with the process. The tool will migrate the email messages. If you have selected few emails then tool will migrate that otherwise migrate all the data. Is software safe to use? Is it compulsory to have installation of Outlook on PC? For successful migration of emails from MBOX file format into PST, the installation of Outlook is a prior requirement. Will software able to migrate bulk data safely? Yes, software is effective and comparatively strong when it is to migrate bulk emails from MBOX to PST. What is the file saving option? Is tool supports helpful to be operated via those having lesser technically skills? Is application supports all MBOX file format supporting email clients? I have recently switched from Thunderbird email client to MS Outlook. The conversion of Thunderbird MBOX files to Outlook PST file format seems to be tough for me. I got MBOX to PST Converter third-party application that seamlessly convert MBOX data into PST format with its batch conversion feature. The whole data is converted in a smooth manner with less time. It is worth to invest into Sysessential for MBOX to PST if someone is eager to attain complete email migration from MBOX file format into PST files. This is a known application that really supports for safe email conversion into PST file format.